If you’re planning to spruce up your home with a bit of painting, be sure to hire a reliable home improvement company for the job. Much of your project’s success relies on your choice, so this is a big decision. You’ll need to hire one with the skills and experience to ensure that everything runs smoothly. 1. 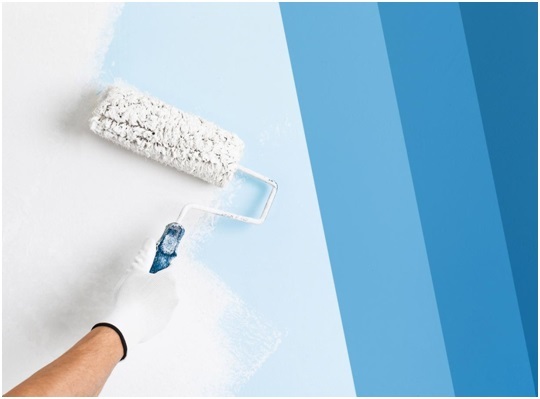 Careful Prep Work — No matter how great the paint product or expert the applicator, a paintjob won’t last if your home isn’t prepared properly. Nelson Exteriors takes pride in our expert prep work. To ensure that everything goes according to the project’s plan and timeframe, we assign a project manager to each job. They’ll be there to supervise the work and answer whatever questions you may have. 2. High-End Products — Nelson Exteriors only carries the highest quality products and paints from Sherwin William’s for these services. For our exterior painting in Alpharetta, GA, we use their Resilience and Duration options, which come in a wide selection of colors and sheens. Our top of the line primers and elastomeric ASTM 920 rated caulk also ensures lasting and durable performance against the fluctuating Georgia climate. We offer 4-year and 7-year transferable warranties when you choose these products. Sherwin Williams’ Superpaint, Harmony, and Duration Home are our available options for interior painting. They provide superior stain resistance, maintaining a beautiful finish in all areas of your home, especially those with high traffic. Like our exterior painting options they are available in a range of lovely colors and sheens. 3. Expert Applicators — Your exterior and interior painting in Roswell, GA, won’t be complete without professional applicators. Our expert crew ensures that we can finish your project in record time without compromising safety, quality, and workmanship. Turn to Nelson Exteriors for your home painting needs. We’ll make sure your project runs without a hitch through our top-tier products and expert team. Fill out our form today for a free estimate.